Jack Bohm first got into video game development through Graal Online, a multiplayer game for smartphones that allows community members to create assets for the game. After making weapons and accessories for himself and his friends, the team behind Graal took notice and began paying Bohm for his work. “Once that happened, I started to realize that game development was a legitimate career that I could make a living from,” Bohm said. While attending BYU for animation, Bohm taught himself how to stay on top of tech trends and learn new processes. 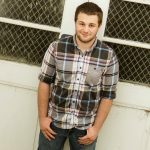 He was always busy with personal and freelance projects and had the opportunity to work on animated films through the BYU Center for Animation. 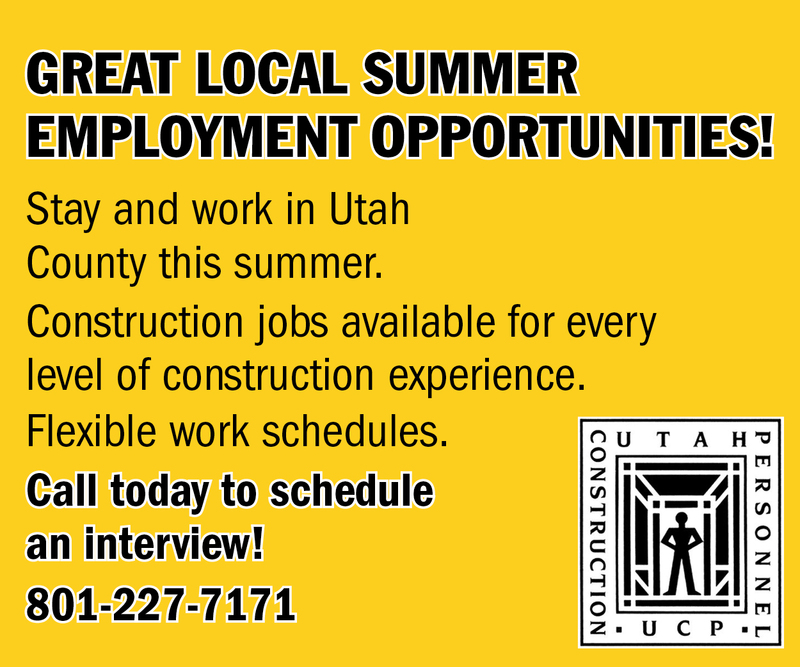 During his studies, Bohm reached out to Adam Ford, the art director of Chair Entertainment, Epic Games‘ Salt Lake City office. After confirming with BYU’s animation faculty that Bohm would be a good fit in the company’s culture and a “brief, nerve-wracking” interview, Bohm was offered an internship as an animator. Today, Bohm works on concept art and 3D models for SpyJinx, Epic Games’ collaboration with filmmaker J.J. Abrams. He’s also worked on art assets and props for Fortnite‘s sixth and seventh seasons. 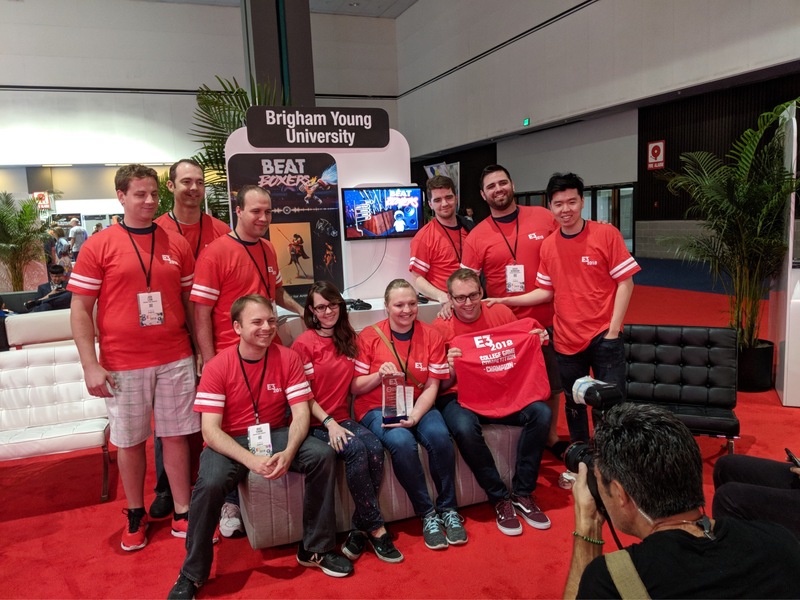 Like Bohm, BYU students are leveraging their love and fascination for video games into development efforts that lead to award-winning, commercially viable video games. Video games have a quiet but noticeable appreciation on BYU campus. Students have formed clubs focused on eSports, “Minecraft,” “Fortnite” and “Pokemon Go,” according to the university’s student organizations webpage. Locations on campus, like the Wall, have hosted competitions featuring “Super Smash Bros.” — a Nintendo-published fighting game celebrating video game history. 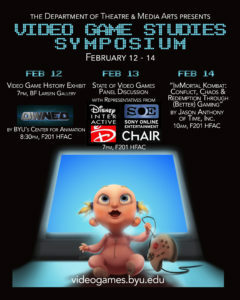 Benjamin Thevenin, BYU’s Media Arts critical studies area head, organized and hosted BYU’s first video game studies symposium from Feb. 12-14, 2015. The event featured several interactive displays in the Harris Fine Arts Center resembling living rooms and associated video games from the 1970s through the 90s. The event also featured speakers from across the video game industry, according to The Daily Universe. Jeff Bunker from the now-closed Disney Interactive, BYU alum Donald Mustard — the worldwide creative director at Epic Games, the creators of Fortnite — and Jason Anthony, an editor at Time, Inc. all spoke on the state of video games and their importance. Thevenin said the symposium was inspired by both his interest in game development and the financial and cultural success of the video games industry. “Given that the video games rival the movie industry in the amount of business they do, I felt it was important for scholars and students to pay some serious attention to games,” he said. 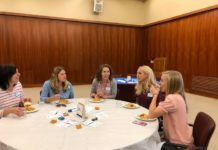 After reaching out to other students and faculty across campus, Thevenin said he found “incredible interest” in an event focused on how BYU engages with games. He said research and development in video games is happening across campus — from human development professor Sarah Coyne’s research on the potential benefits and negative effects of video gaming to the Center for Animation’s student-developed games. While a second video game symposium was never in the cards, Thevenin confirmed he and a group of students are planning another campus-wide event focused on video games and other emerging media. Thevenin also said the New Media Capstone, which was launched this year, encourages students to develop pitches for projects involving “emerging media” — like video games. 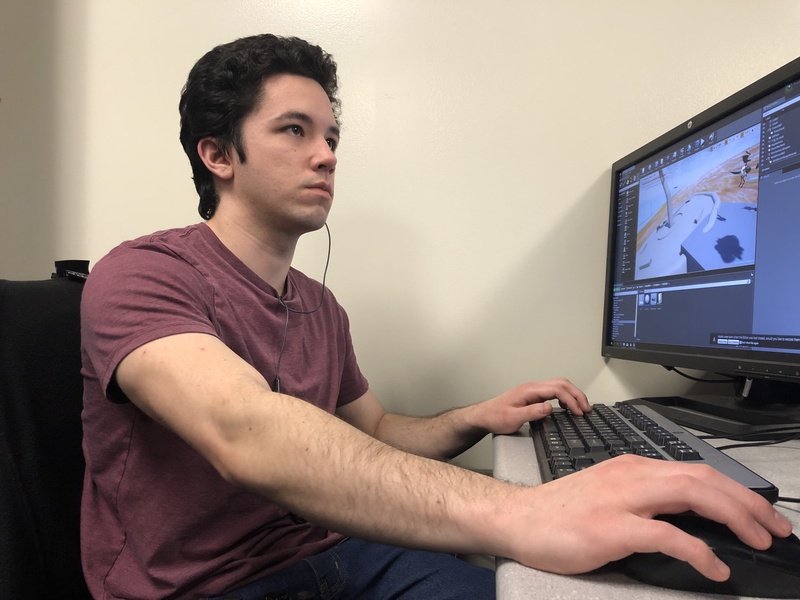 Students in the media arts program have also become involved with the Center for Animation’s video game development capstone program, which has existed for about seven years, according to Seth Holladay, a BYU animation professor and former PIXAR animator. Holladay, who oversees and mentors each student game project, said each year students learn from mistakes on previous projects, which improves each game’s quality and has led to increased recognition within the video game industry. 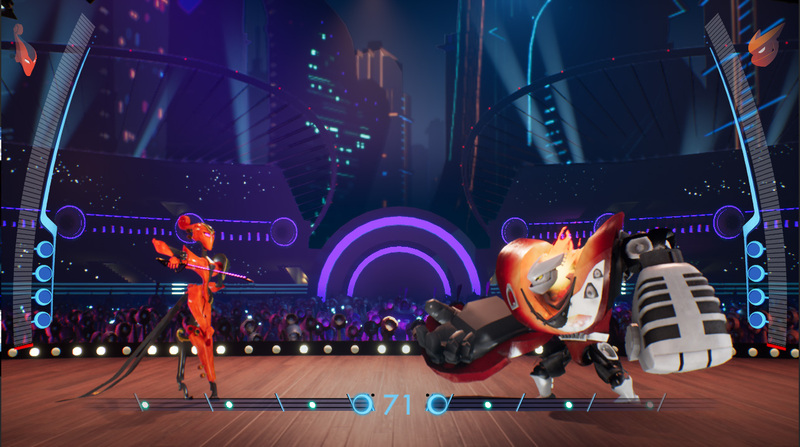 Last year, “Nokbak,” a first-person arena fighter, won the Intel University Games Expo, and “Beatboxers,” a rhythm-based fighting game, won E3’s college competition, Holladay said. The Center for Animation has also placed in the top five at E3 four times. “Only four schools have attended E3 more than once, including us, and it’s a very rare opportunity to be a finalist,” Holladay said. “Avast Ye!” follows the adventures of an insect pirate captain and her crew, according to media arts student and game director Jessica Runyan. She said planning and development began in summer 2018. Overall, the game will be in development for eight months. According to Runyan, the students working on the game live second lives as game developers after balancing school, homework and personal lives. While the development team members have plenty of problems to solve, Runyan said they are dedicated to finding the right solution to any issues. “Our first step is to state the problem, then from there we can decide who’s responsible and who can fix the issue,” she said. Runyan also said the development team meets every Tuesday and Thursday for dailies — meetings in which the team reviews development progress, art direction and assets, and coordinates various issues in development. Sarah Tippets, the game’s art director, said “Avast Ye!” is inspired by games ranging from carefree and cartoonish to mature and realistic. She listed “Horizon Zero Dawn,” “The Legend of Zelda: Breath of the Wild,” “God of War” and “Ratchet and Clank” as inspirations for the game’s world and character design. Runyan said she believes the games developed by BYU students can be just as high quality as the award-winning animated films produced by the Center for Animation. 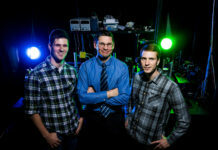 Tippets also said getting the opportunity to work on a video game while at BYU is “incredible.” While students from the Center for Animation make up the majority of the development force behind “Avast Ye!”, students from across campus, including artists and music majors, are contributing to the project. “There’s a lot of passion behind the project. We really care about the game, it’s something we can be proud of and put on our resumes,” Tippets said. 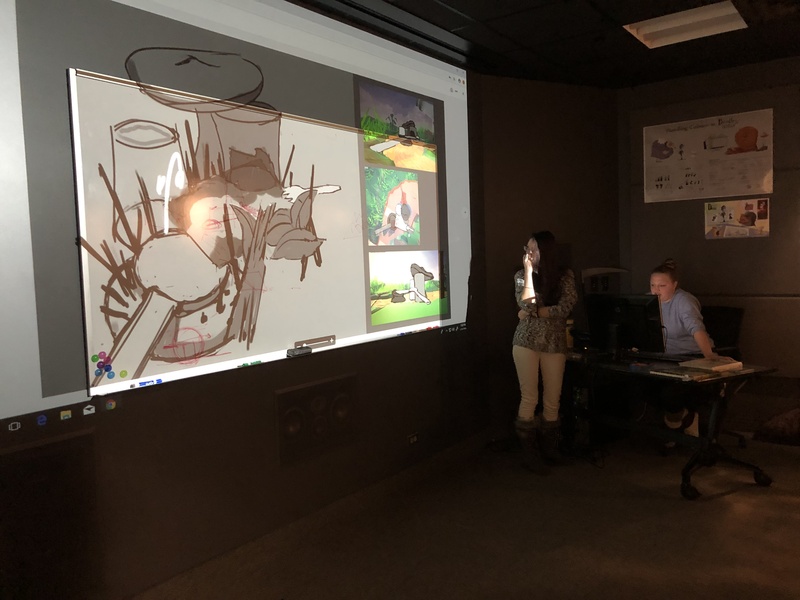 According to Holladay, students in the Center for Animation have plenty of opportunities to learn from professionals in the video game industry. BYU alums from Epic Games, Riot Games, Blizzard and Avalanche Studio have stepped in to mentor students. Additionally, Holladay said over 20 students have consistently obtained jobs and internships across the industry since the game development capstone began. Some students — like Bohm — manage to land prestigious opportunities that are generally in high demand. 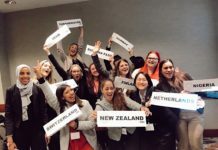 “One student last year picked up an internship at Blizzard Entertainment, which (received) close to 17,000 internship applications,” Holladay said. Although it can be intimidating to jump into game development, Bohm said it’s an attainable career choice. Bohm said he’s been lucky to have great mentors help him get to where he is today — a service he’s willing to extend to others through his Instagram page. “A career within the video game industry is very possible. 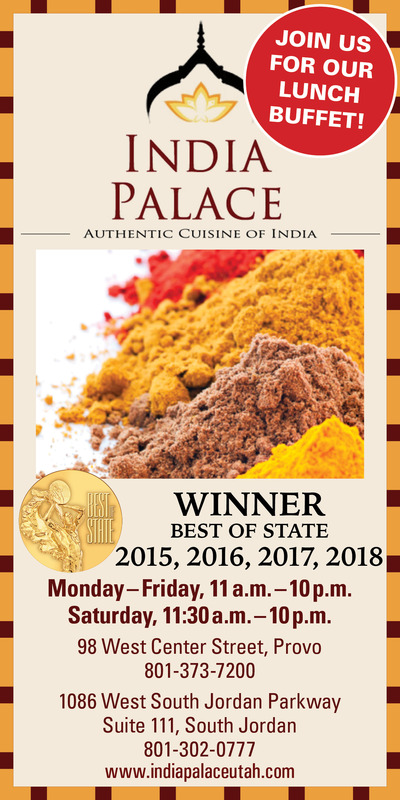 It will take thousands of hours of practice and many sacrifices, but in return, it will be one of the most rewarding decisions you have made,” Bohm said.